Ghevar is a traditional Rajasthani mithai or sweet dish which originates from the state of Rajasthan but is also popular in the surrounding states. The association of Jaipur with Ghevar is inviolable. Some sweet shops are synonymous with this delicacy & specialize in its preparation techniques. Ghevar is specially made and consumed during the local festivals like Teej, Gangaur, and Makar Sankranti. In some places, it is associated with the Indian festival of Raksha Bandhan or Rakhi. In this region, Ghevar is synonymous with Teej festival which falls in the Hindu month of Savan or monsoon season in July or August. Ghevar is a disc-shaped Indian sweet having a honeycomb pattern. It is prepared using maida (refined flour) and ghee (clarified butter). Some people mix a small quantity of besan (gram flour) to enhance its taste. A batter is made using these ingredients and dropped from a height in piping Ghee or hot oil (as a cheaper replacement). Local sweet shops use a special disc-shaped metal mould during its preparation to give it a round shape. Even though the ingredients are basic and easily available, the trick of making a good Ghevar lies in its preparation technique; timing is the most important factor. Here is a link to a video which shows how Ghevar is made in a workshop of a local Halwai/ sweet shop. Once it is done, it is dipped in sugar syrup and sold as a sweet variant. Ghevar is sold in two styles. Sweet and unsweetened. The former has a short lifespan and needs to be consumed within 3-7 days. Latter has a shelf life of 20-30 days. There are many variants of Ghevar. The most popular among these is Paneer Ghevar. LMB sweets profess that they mastered its technique. Paneer (cottage cheese) Ghevar doesn’t mean that it is prepared from the usual paneer sold in the market. To make Paneer Ghevar thick curdled milk or Chhena is mixed in the batter. Its seller insists that this variant has a longer shelf life and is tastier than the plain one. Even milk Ghevar is also popular in Jaipur. In this case, milk is added to the batter. Ghevar is an expensive delicacy and it is sold from Rs. 660/kg to Rs. 1700/kg for the unsweetened variants. This variation in price depends on its size and the seller/shop. The sweetened ones start at Rs 600/Kg onwards. LMB sweet sells Ghevar by piece; a single LMB Ghevar cost Rs 670! These prices are for the ones prepared from Desi Ghee. You can find Ghevar made from hydrogenated vegetable oil being sold at one-third of these prices. And this is what sells in a huge number especially in the rural areas. It is not sold throughout the year in most shops barring a few. LMB sweet is one such shop in Johari Bazar Jaipur. Malai Ghevar is highly sought after and is for an instant consumption. The sweet Ghevar is topped with a layer of Malai ( fat obtained by heating milk) and sometimes, it is sprinkled with dry fruits & nuts or Vark. What is the history of Ghevar? Sadly, there is no information on its history. Some people claim that it found its way to India with Mughals many centuries ago or perhaps came with the artisans who came from the middle east. There are no records to prove this theory. I guess in lieu of any written records it is safe to assume that Ghevar owes its origin to Rajasthan. There is another set of people who believe that Ghevar originated in Uttar Pradesh. The popular opinion is that it is a Rajasthani Mithai. Why is Ghevar is associated with Teej? As per the customs and rituals, Ghevar is sent as a gift by parents of the married daughters as a blessing for her happy married life. Savan month is associated with Lord Shiva and his union with Parvati. They are considered as an eternal pair. Ghevar is a symbol of blessings and love showered by parents towards married daughters for the same. As per local customs, mothers-in-law showers their daughters-in-law with gifts in the first year of marriage. Thereafter, Ghevar and other gifts are sent by her parents every year on Teej. On Sinjara, women visit their parent’s house along with Ghevar. Ask anyone in Jaipur and people will suggest different shops. Regular travelers to the city recommend LMB sweets in Johari Bazar because it has marketed Paneer Ghevar for years. Even though the LMB sweet writes “since 1727” don’t get misled. This shop came into existence only in the 1960’s! It doesn’t mean that other shops don’t make good Paneer Ghevar. Following are the names of sweet shops in Jaipur that are popular among locals for Ghevar. Sambhar Fini in Johari Bazaar is famous for both Ghevar and Fini, another Rajasthani sweet delicacy. The shop is located in Ghee Walon Ka Rasta, Johari Bazar. Ajeetmal Agarwal Sambharwala owes its origin in a small town near Jaipur, Sambhar. The shop looks dated and retains its old world charm. City residents who grew up in the walled city vouch for its quality. Those looking for an upmarket and swanky outlet will be disappointed. Just because this outlet looks old doesn’t mean they sell at low rates. Their rates are on par with the new age sweet shops. The USP of this Ghevar shop is that they sell only Ghevar and Fini. They specialize in making of these two authentic Rajasthani Mithai. BMB sweets near Sanganeri Gate (Johari Bazar) is a popular sweet shop. It is not known for its legendary taste of Ghevar; their location certainly gives them an edge. BMB also has a branch on Tonk road. Sodhani sweet is one of the most popular sweet shop chains in Jaipur. They owe their origin in a small lane in Johari Bazar – Partanion Ka Rasta but is now present with 3 outlets in the city. While it is not specifically famous for Ghevar but you can’t go wrong with Sodhani sweets because they are the jack of all! You can find them in Johari Bazar, Tonk Road, and Ajmer Road. Rawat Misthan Bhandaar is popular among locals and tourists alike for its famed Pyaaz kachori. They are also popular for Bengali sweets & Ghevar. Other sweet shops like Kanji, DMB, Kanha, and others also sell Ghevar. In fact, it is not uncommon to find it being sold at every sweet shop during the season. It is hard to recommend a shop for best Ghevar in Jaipur! In old days, Hanuman Ji Ka Rasta was a popular lane for buying Ghevar. An old shop owner who only makes Ghevar shared that their shop has a history of two and half-century. For years they would churn out a huge number of Ghevar every day but in the recent years owing to new shops they have lost customers. The current generation is not aware of the role of this lane in the history of Ghevar making in Jaipur. So, do people eat unsweetened Ghevar? How does the unsweetened one taste? People buy Ghevar as a dessert and to celebrate the happy occasions. Those who buy unsweetened Ghevar do so either to ensure a longer shelf life or prefer freshly prepared sugar syrup because the sweetened variant is soggy. If you like the crisp one the trick is to prepare sugar syrup just before eating. If you are visiting Jaipur, take a bite and enjoy this Rajasthani delicacy. It is totally worth it! If you don’t, your loss! With a Rajashthani Mom, how could we not have Ghewar at every opportunity we could! I absolutely love your detailed post, as it wll enlighten anyone who hasn’t heard of Ghewar. On my next visit to Jaipur I plan to visit the shops you mentioned, for Ghewar, and more. You have a mom from Rajasthan? wow! Where is she from? So you must have tried a variety of Rajasthani food? Love this detailed post of yours, Arvind. I so love Malai Ghevar! Gosh…I am drooling here thinking of the delicacy and the time spent in Rajasthan gorging on this. Now that’s interesting. In which city you had Malai Ghevar? Bikaner makes excellent Ghevar. Malai Ghevar of Chotu Motu Joshi is quite renowned. I just love Ghevar! Great post with detailed description.Loved each and every picture. I can email you pictures. If that helps? Else, I can courier you a “live” piece! 🙂 Does that work, Pradita? Wow! I haven’t heard about this tag line during the last few years. Any other information? Will find it for you. Some names are legendary but not the taste; that’s befitting for LMB. I agree that there are places which sell better Ghevar than LMB Ghevar. So where are you based now? Ludhiana – There was one Doodh Jalebi wala who was simply great. Another was one Namkeen wala on a Rasta parallel to Ghewar Shop. I used to enjoy the ambience and alloo tikki stuffed with dryfruits at LMB. Those times they used to serve it in silverware do they still do it now. Another fav spot for me was Gauri coffee shop in Hotel Gangaur. Nostalgic!!!!!!! wow! Happy to come across a Ghevar lover. So now your dad doesn’t visit Rajasthan? Where are you based? You picture is tempting me to prepare it soon… Makar Sankranti, festival of kites is on the way… I miss Jaipur so much for this festival!! Well, if this blog is motivating you to prepare Ghevar, I think my job is done. You are a food expert, after all! Are you from Jaipur, Deeksha? Yes arv, I am from Jaipur. I have tried successfully ghevar at the occasion of teej, and now in Bangalore also we get ghevar but your clicks are just too sinfully good!!!! Happy to stumble across another Jaipurite! Good you reside in Bangalore as the weather is perfect to enjoy Ghevar. Those who live in Chennai, Mumbai or other humid places complain about shelf life of Ghevar. You can get authentic Ghevar in Gandhinagar, Bangalore. Mittal Towers at MG road has authentic ghevar here, will sure try in Gandhinagar also…. We were in Chennai also 17 years back but couldn’t find ghevar at that time. Looks like you travel a lot in different cities to see them through your lens ☺️or you are from Bangalore Arv? Thanks for adding a place in BLR, Deeksha! There are a couple of places in Chennai too but I don’t think Indian sweets are better in Chennai. Lately, I don’t travel often. BLR? well, I have so many connections – close family & friends. I travel frequently. 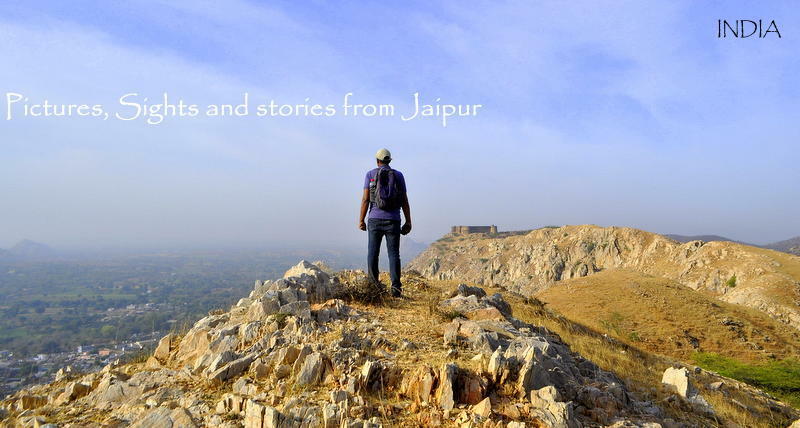 Do you visit Jaipur? Mostly I visit during summer vacation. This time it’s two years gap, that’s why missing it badly. Will try to catch up if you are in Jaipur that time. Would be waiting for your post on “Makar Sankranti”.